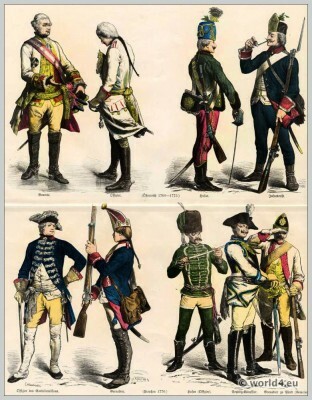 Home » Austrian and Prussian Military uniforms 18th century. Second half of the 18th century. Top row left: Austrian General and officer from 1760 to 1775. Right: Husar and infantryman. Bottom row left: Prussian officer of the guard battalion. 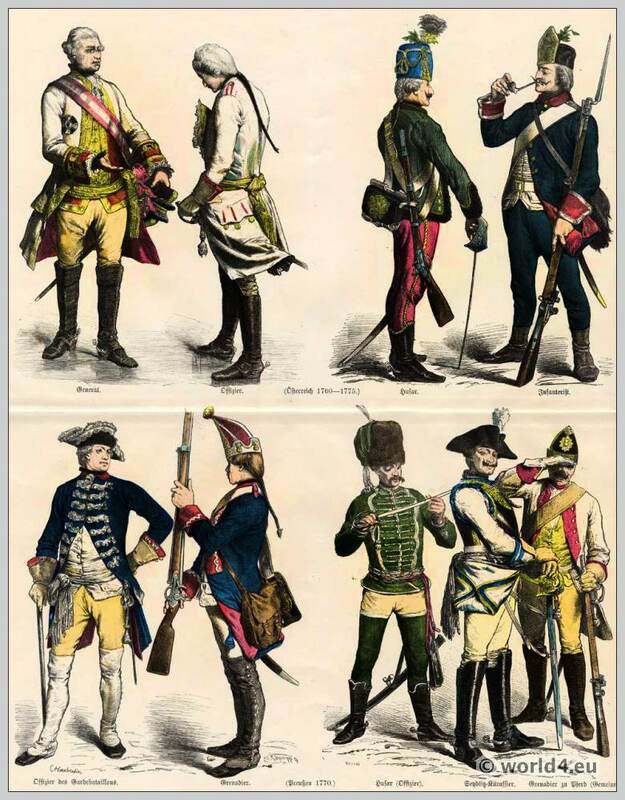 Prussian Grenadier 1770. Right: Hussar officer. Sendlitz cuirassier. Grenadier on horseback. 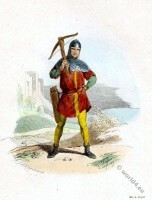 French crossbowman of the 12th Century. Militia of commons. Collection of antique pistols by Sir Walter Scott. Persian General in full armor 15th century. Knights in armor jousting. 16th century combat. Reign of Louis XVI. 1774 to 1780. (Late Rococo) The influence of Marie Antoinette on fashion. 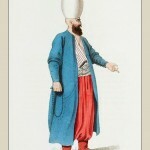 Fashion and costume in the 18th century. This entry was posted in 1760, 1770, 1775, 18th Century, Austria, Germany, Military and tagged Austrian military uniforms, German Military Costume, Münchener Bilderbogen on 1/23/14 by world4.